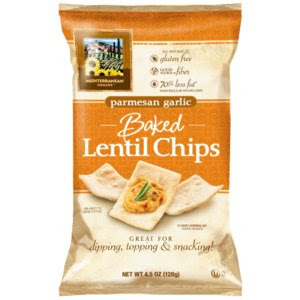 Discover Baked Lentil Chips, the first snack to deliver the great taste and healthy benefits of lentils, adzuki, and garbanzo beans. Made from a select Mediterranean recipe, this savory all natural snack is made with 100% gluten free ingredients, has 4 grams of protein, and 3 grams of fiber & fat in each crunchy serving. Like their Facebook page and sometime between 10AM and 12PM (EST) they will go live with their free sample of their Baked Lentil Chips giveaway! Right now it says: "Sorry, we're all out of samples right now." Come back between 10AM-12PM! While you are waiting, grab a coupon!